Channel Enablement Definition – What is Channel Enablement? For those of you who stay well-versed in sales enablement trends and know all there is to know about the world of sales and marketing, that might seem like a simple question. However, not everyone is that up-to-date on the latest trends or the minute details of different terms. Let’s dig into the question and answer what the difference is between sales enablement and sales operations. To begin to understand the answer the question we need to discuss the central tenets of the two terms at the heart of the question. For the purposes of this question, consider sales operations as the more technical activities associated with day-to-day sales efforts. For instance, maintaining a CRM system; closely monitoring data as it relates to opportunities, leads, and won/lost deals; reporting on those numbers; managing the tech stack of the sales organization, and much more. Sales operations is your boots-on-the-ground team that are closely aligned with the daily activities of the sales team. They will be administering Salesforce (or your chosen CRM) and handling any issues that crop up because of that. 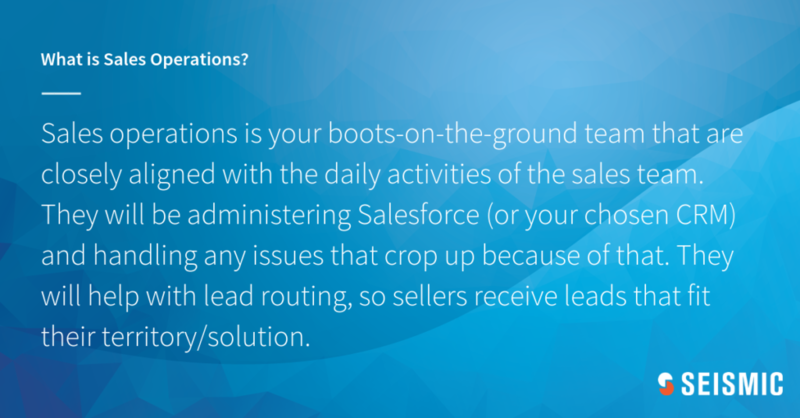 They will help with lead routing, so sellers receive leads that fit their territory/solution. Then when it comes time to report on a monthly/quarterly/yearly basis, this team will have all the insights that leadership will need. They can provide insight into deals from both a micro and macro level, as well any other data points relating to sales engagements. 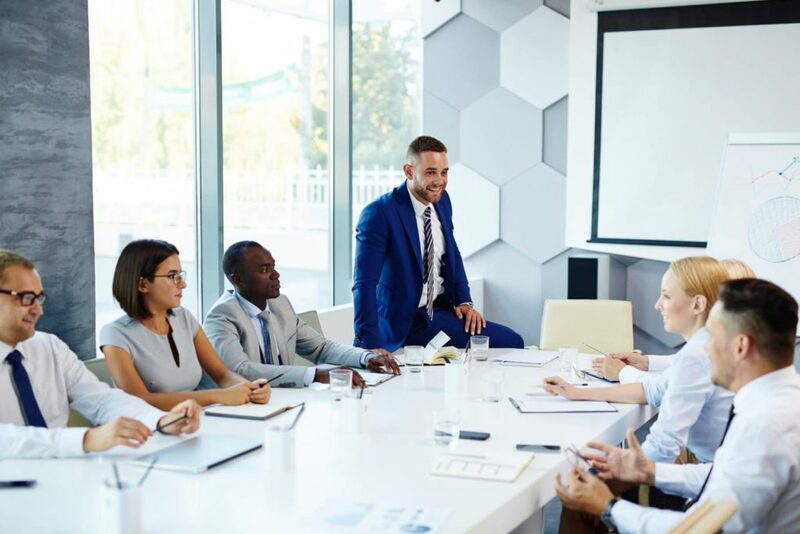 In this context think of sales enablement as the overarching strategy that will drive both Marketing and Sales in their goal to achieve closer alignment, reduce roadblocks, and ultimately close more deals. 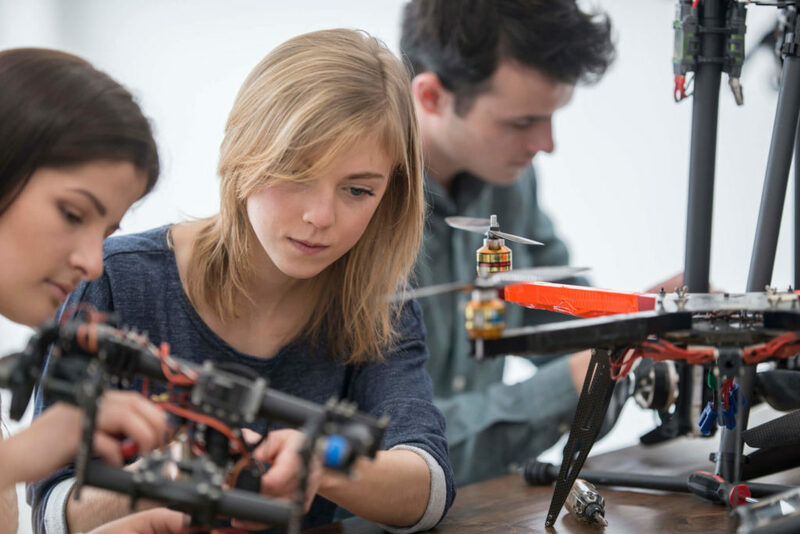 Sales enablement is about people and technology, and strategically aligning them both behind a common goal: sales successes. 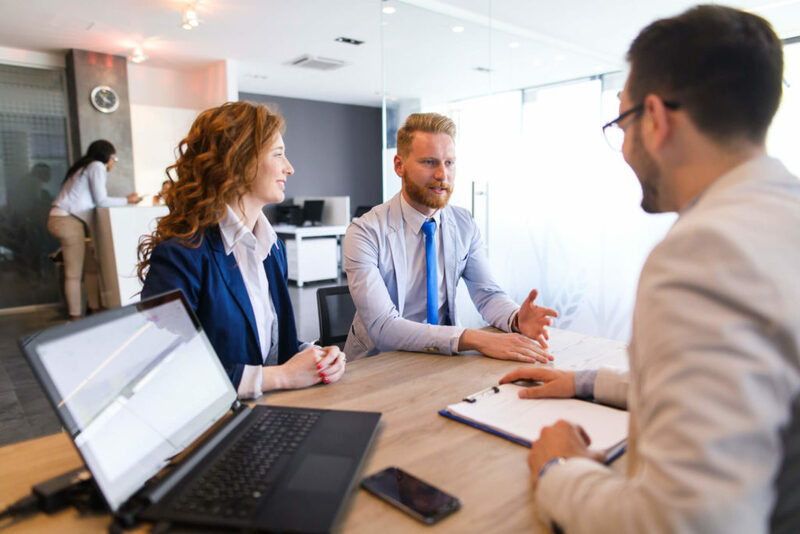 It helps organizations streamline sales cycles by improving buyer interactions with better, more relevant sales content and equipping sales teams with the tools they need to be more informed and productive sellers. When executed properly, sales enablement has a measured impact on time spent selling, win rates, and deal size. The first real dividing line between sales operations and sales enablement is that sales enablement is concerned with both Marketing and Sales. Sales operations will interact with Marketing, but their primary focus is Sales. Sales enablement achieves greater end results by improving both marketing and sales activities. Sales enablement enhances content creation, findability, analytics, sales communication, sales readiness, and reporting. For a simplified way to think about this question think of sales enablement as the holistic strategy of both a marketing and sales organization, and sales operations as an important cog within that overall strategy. 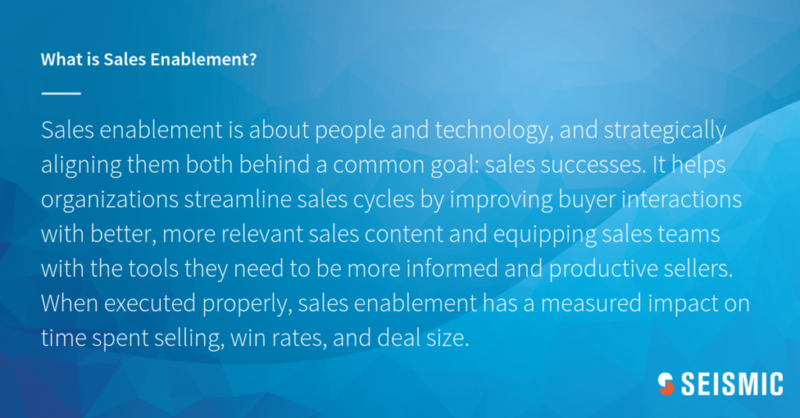 Sales enablement helps with content creation, discovery, analytics, sales readiness, and much more. There you have it, the official, definitive, declarative, final answer to the question that has plagued mankind for all time: “what is the difference between sales enablement and sales operations?” Now go forth and spread your newfound knowledge!